Sneakers are your feet’s evergreen companions. They are comfortable and have become a fashion staple, even though they got their start as flimsy ‘plimsolls’. Owning a pair of sneakers not only gives an extra edge to your shoe collection but also adds an effortless chic to your attire. Sneakers have become a must-have in every man’s (and woman’s) wardrobe, and they can be a fashion statement with your workout gear as well as your latest pair of chinos. 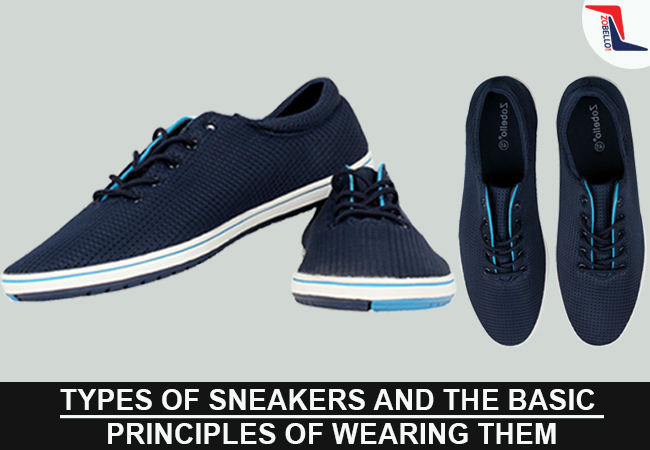 However, the range of men’s sneakers online comes with a few basic rules to abide by. Whether you wear basic sneakers, luxury sneakers, sports sneakers, or designer sneakers, the tips to wear them more or less remain the same. Here’s what you need to know when wearing your sneakers. They are your humble Converse, Chuck Taylor, canvas kicks… or whatever you like to call them. This is the most versatile pair of sneakers you can ever have. They suit every form of casual wear- denims, chinos, and shorts, and you will always find a pair to go with every colour and shade. One of the most important rules while wearing the basic sneaker is to avoid turning up in them at more formal occasions that would require a dress shoe. Since this is the most casual form of men’s sneaker shoe with lots of colours and designs available, they are best suited to younger men and must be cared for and kept clean. The basic sneaker has its luxury counterpart that often comes in leather and suede and has transformed the casual sneaker into smart footwear. They can be worn with tailored trousers, slim denim, chinos and in some cases even casual unstructured suiting. Since these sneakers are a little bulky, it is best to avoid wearing them with shorts. These sneaker shoes for men work best with semi-formal clothing, like a shirt with a slim or knit tie, a blazer and some slim denim. Remember that they are meant for dressing up, not down. If the material is suede, do take extra care and don’t wear them too often. This type of sneakers is best paired with your sportswear- tracksuits, gym clothes, or your regular shorts-tee combo. Always make sure you choose pairs that are simple, since sporty sneakers tend to be bulky than regular shoes. You can wear these with gym/running gear over the weekend, or you can keep it sporty and casual with tracks and t-shirts. Remember to avoid all-white pairs and keep your shirt untucked with these sneakers. These are expensive, and the designs are often loud and gaudy. This kind of sneakers is usually seen on people like Kanye West. The best way to wear them is with slim-fit denims and t-shirts with open plaid shirts. You could wear them with long, drapey blazers and singlets to add some more edge to your attire. It is recommended to stick to blacks, whites and mute colours and keep your outfit from getting too attention-seeking. Men’s sneaker shoes are versatile and can be styled in various different ways. What is your style of choice?